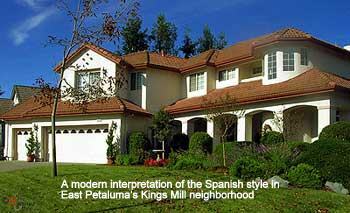 Perhaps second only to the Craftsman – the Spanish style is common throughout Petaluma’s vintage and modern architecture. 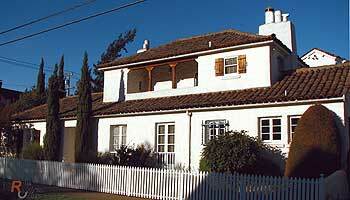 Some of Petaluma’s definitive historical estates are built in this style, as evidenced from a drive down D street. 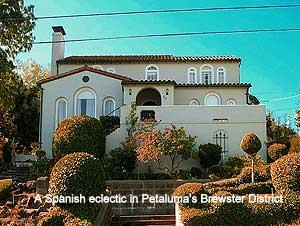 Open, practical, and timeless, Spanish style homes are found in many of Petaluma’s historic and modern neighborhoods. “Architects of this style were inspired by many sources: the adobe and Spanish Colonial buildings of Southern California, late Moorish architecture, medieval Spanish church architecture, the Baroque architecture of colonial Spain, and Portugal, and the Pueblo Mission styles. This broad base of sources made it relatively easy to create a believable harmony among the exterior image, interior space, decorative elements, and the building's function. The American movie industry of the early 1900's helped to glamorize a certain sub-class of the style known as the Spanish Eclectic style. Stars weren't just seen at night; in true photo-op fashion, they were often captured lounging by their oversized pools in back of their Spanish Colonial mansions, dripping with water by day, and diamonds by night. 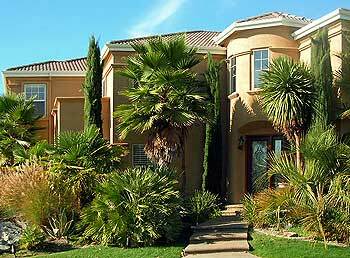 It was also through the influence of the movies that the Spanish Colonial mansions came to be built in areas of the country like Minnesota, where the largely Nordic-rooted culture was far removed from Spanish heritage.